The Witchery has developed an internationally renowned reputation for its wines, winning virtually every award going and gaining a reputation as one of the world's finest restaurant cellars. Since gaining a prestigious Wine Spectator Best Award of Excellence in 2004 we have retained that award ever since and collected may others including the AA's Wine Award for Scotland and UK Wine Award 2013. 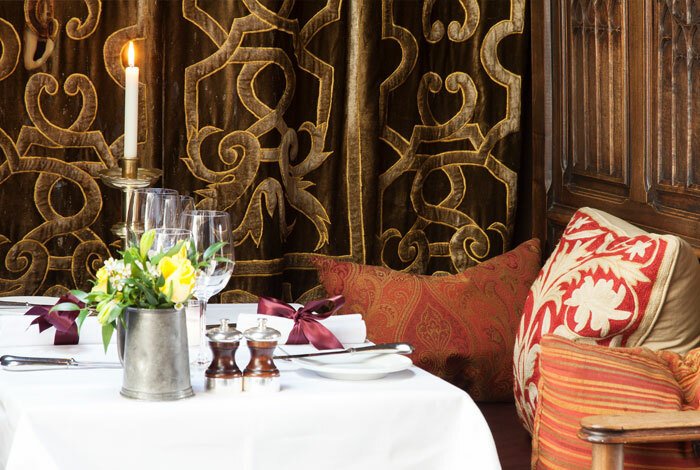 In 2014 the Witchery was named among the world's greatest wine lists in the inaugural World of Fine Wine Awards and that accolade continues today. The Witchery's comprehensive list of over 500 wines covers all of the great wine producing areas, varieties, prices and styles. There are the most-famous names from Bordeaux and Bugundy and a specially-curated selection of seventeen delicious wines available by the glass. Owner James Thomson runs a skilled and enthusiastic wine team. They constantly seek, taste, source and buy wines to add to The Witchery's already-extensive cellar. Their extensive knowledge is available to guests in the restaurant when choosing from the amazingly diverse list. As a Chevalier of the Order of the Tasse de Vin in Burgundy, James is a regular buyer of fine wines in cask at the annual Hospice de Beaune auctions each autumn . Sometimes these wines from his private cellar may be available. If not, then you'll find a wide selection of his favourite Burgundies here. Champagne is a Witchery speciality with over 30 available, from the Witchery's highly regarded House Champagne Billecart-Salmon Brut Reserve, to the deluxe cuvees of Krug, Roederer Cristal and Dom Perignon. We stock an extensive range of Malt Whiskies, Armagnacs, digestifs and liqueurs to accompany the perfect espresso. Mineral water is probably the best Scottish water available - Speyside Glenlivet. (Please note that vintages and prices may change without notice).